We are proud to exclusively offer the fine works of renowned Parisian artist, Sylvie Monthule in North America. All Sylvie Monthule items are handmade in France, with high quality materials. 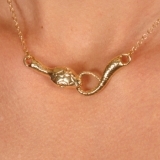 This Women's gold Serpent necklace is simply exquisite. 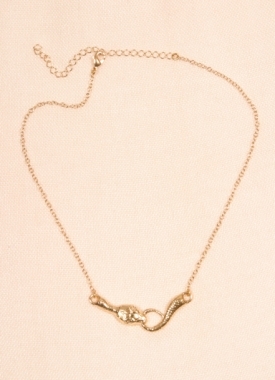 The gold plated (10 microns) chain necklace would make any outfit. Gold Serpent necklace goes great with the Serpent anklet, CHC32. All Sylvie Monthule designs are protected under international copyright law.